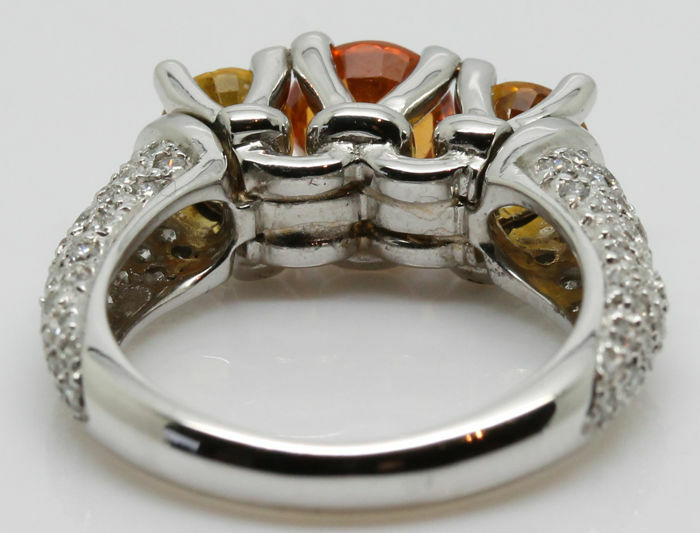 High-end and exclusive Designer ring that will make anyone take an extra look. 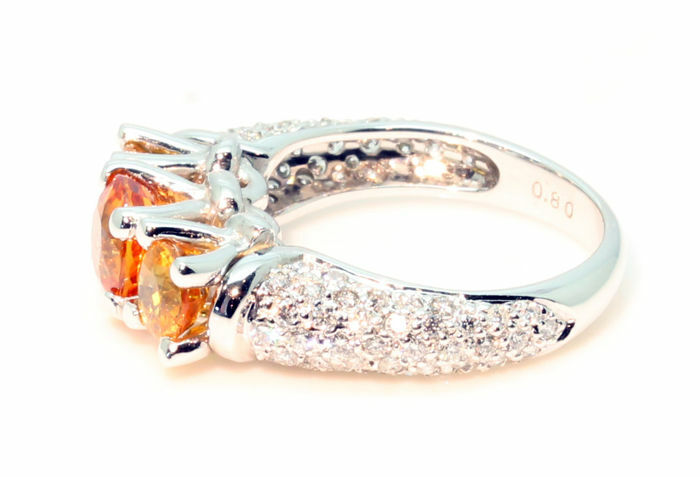 One 18K White gold ring, Hallmarked K18 0.80. 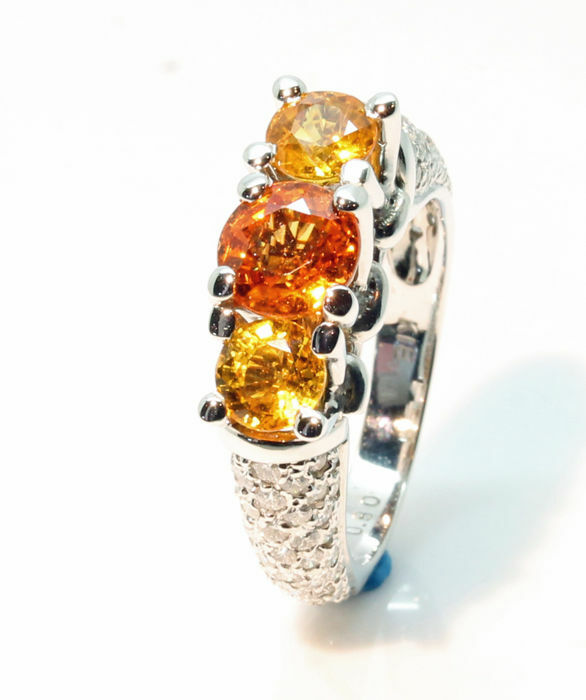 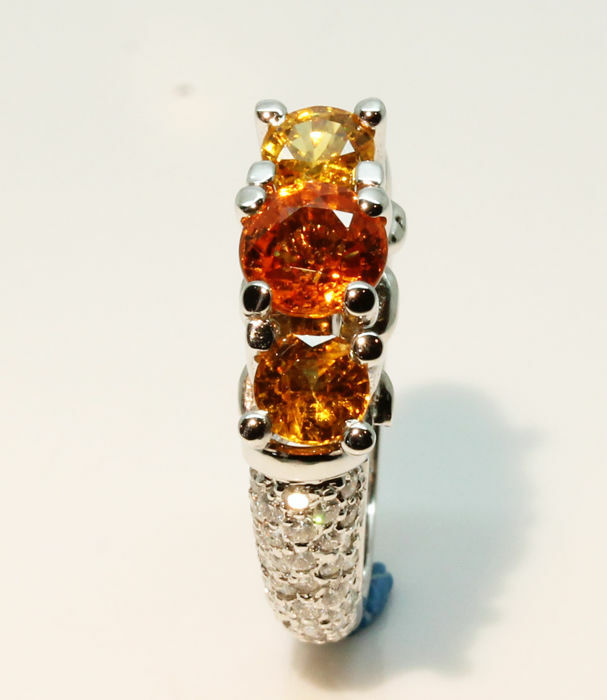 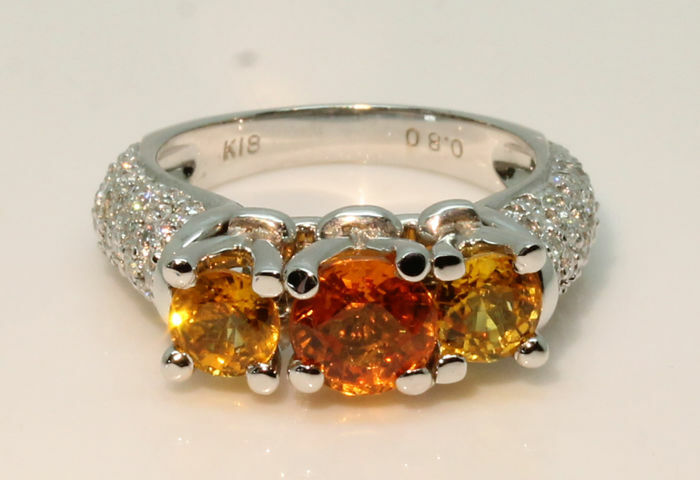 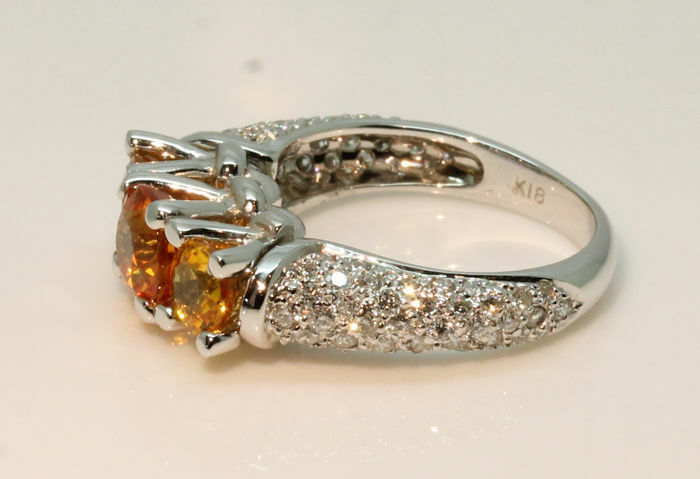 The ring is adorned with a total of 1 Vivid Orange Spessartite, 2 Natural Sapphires and 82 Natural diamonds. 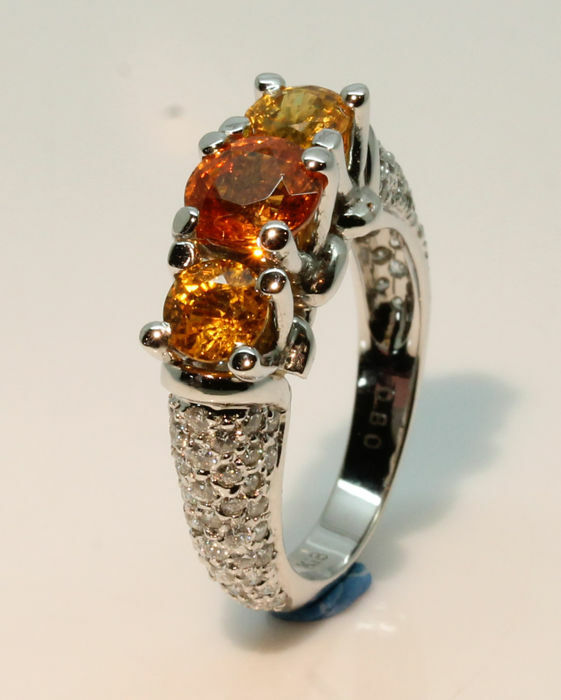 Measurements: 6.60 x 6.62 x 4.30mm. 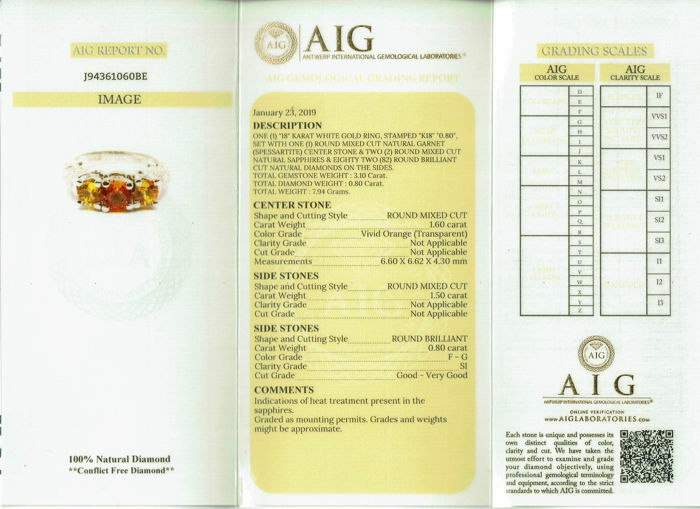 Finish: Very Good / Very Good. 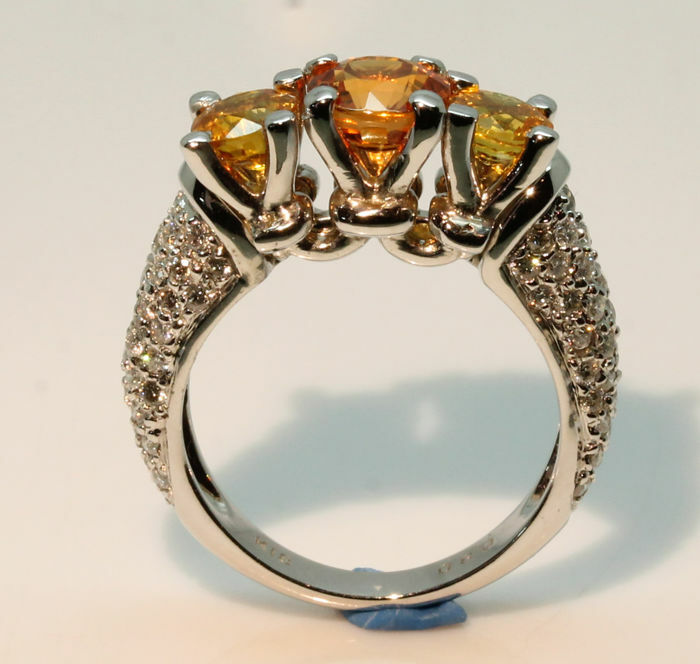 Sapphires are often treated by heat which as well is valid for these sapphires. 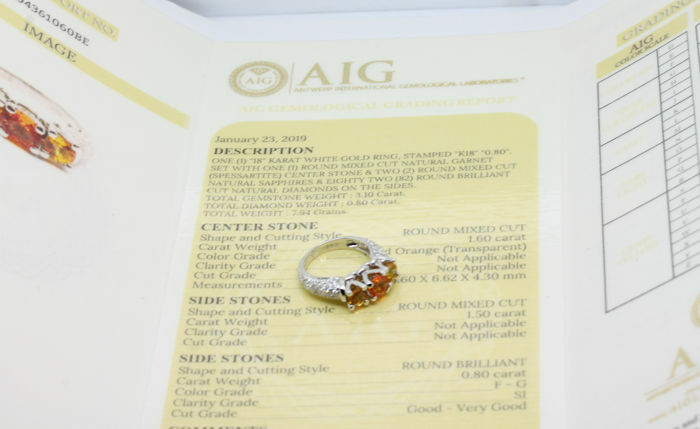 The Ring is delivered with the included official and original AIG Certificate. 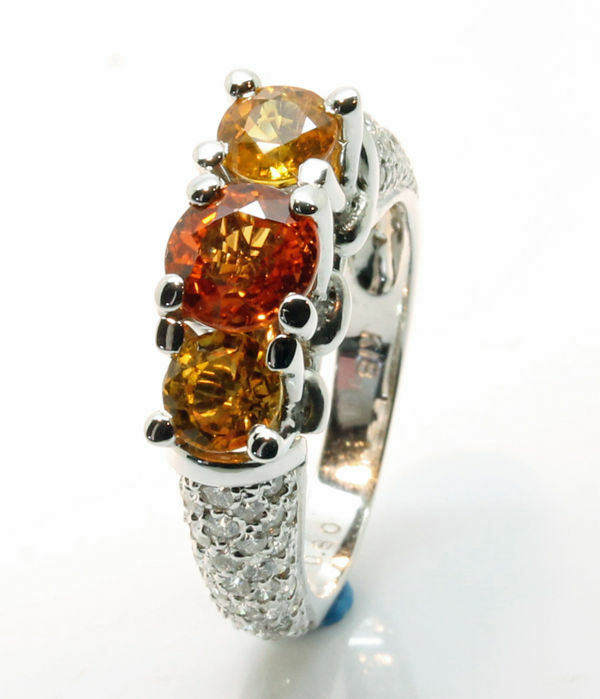 Shipping will be done fully insured and door to door.